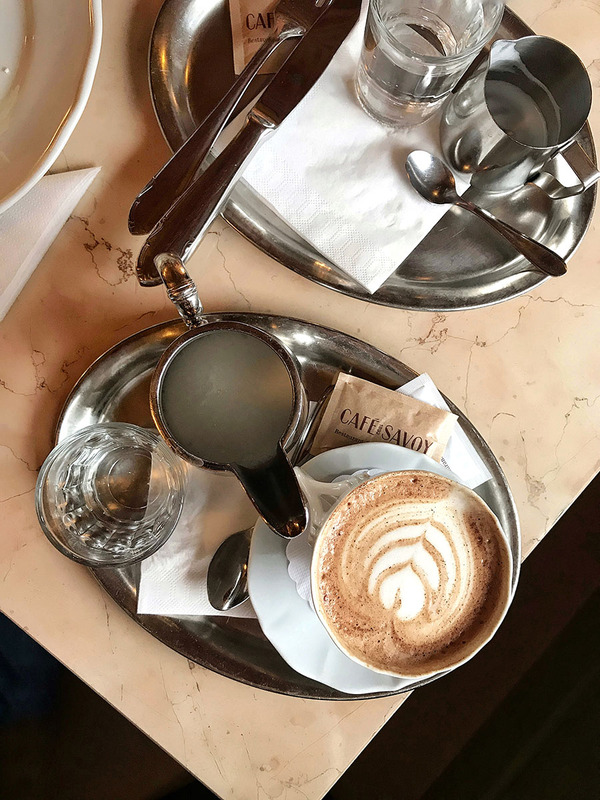 Prague has a great coffee scene with many amazing independently owned coffee shops. The list is awe-inspiring. Especially, for quite a small-ish city like Prague. I encourage you to visit the Taste of Prague to find satisfying coffee near you where ever you are staying in Prague. 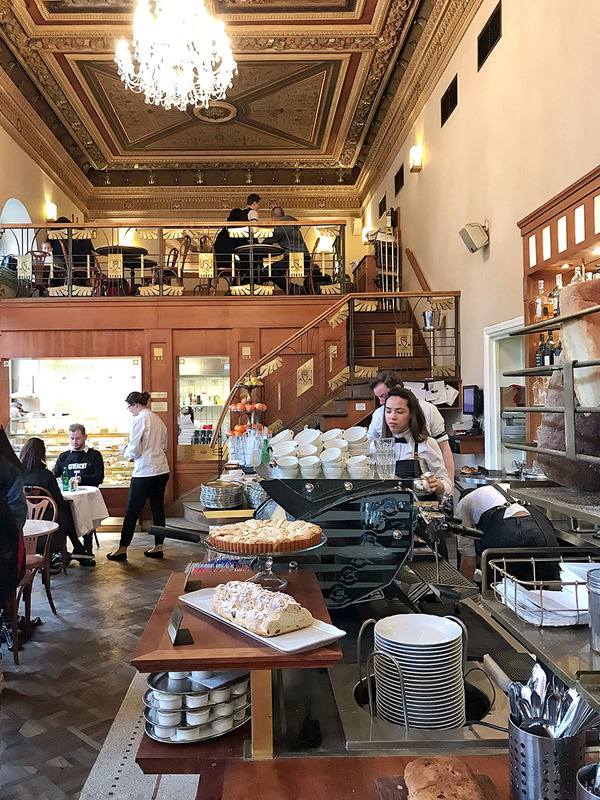 But, Prague also has a few excellent cafés with a long history and heritage. And with stunning interiors. 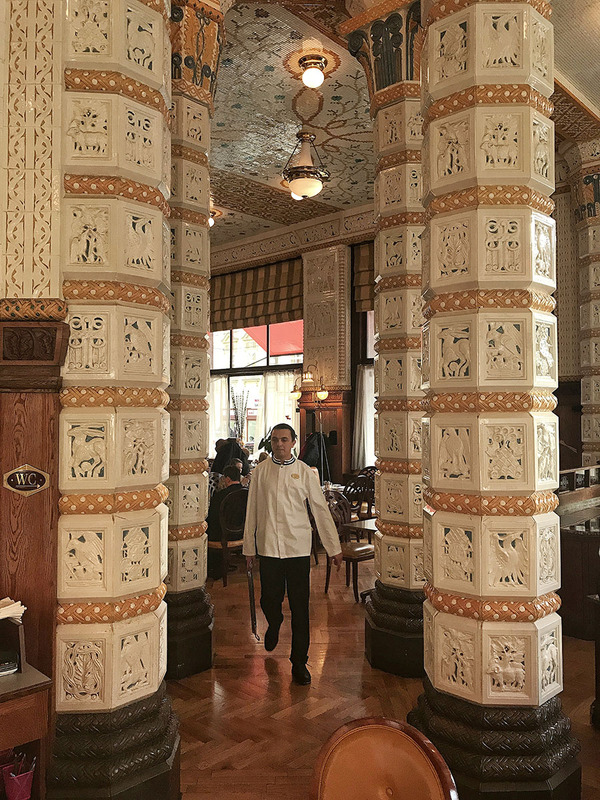 They not only serve excellent coffee, cakes, and food, but do so in style. 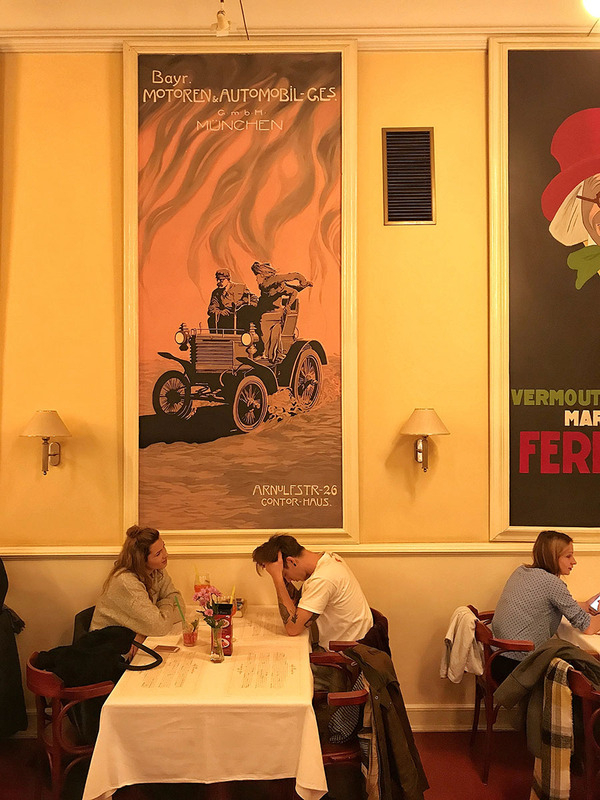 All these cafés have exceptional reviews on the internet, and they nicely fit into what we are looking for during our travels - great coffee, desserts, food, and the atmosphere while still being affordable. 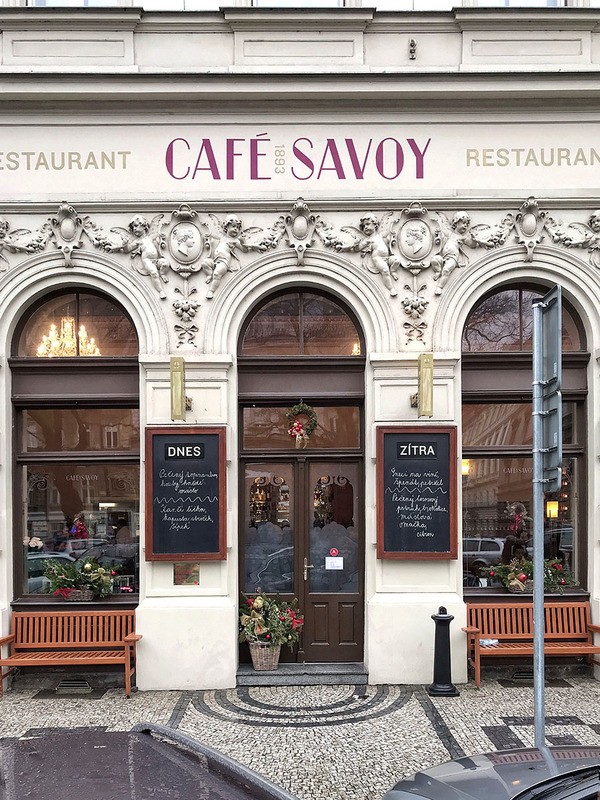 Café Savoy is one of mine and my wife's most favorite cafés in Prague. We always make sure to book at least one breakfast here during our visits. It never disappoints. 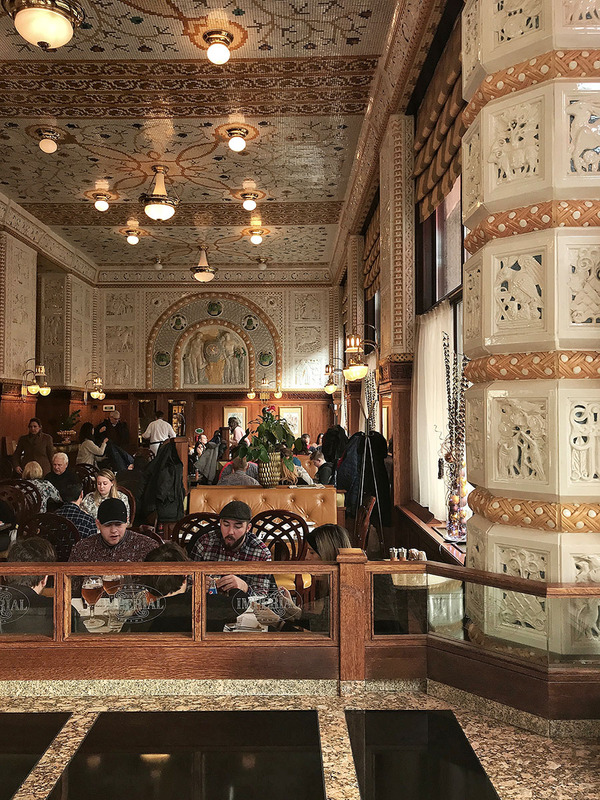 Café Savoy has the atmosphere of the cafés of the First Czechoslovakian Republic, and it’s interior dates back to 1893. The food is just fantastic, and the staff is very professional. 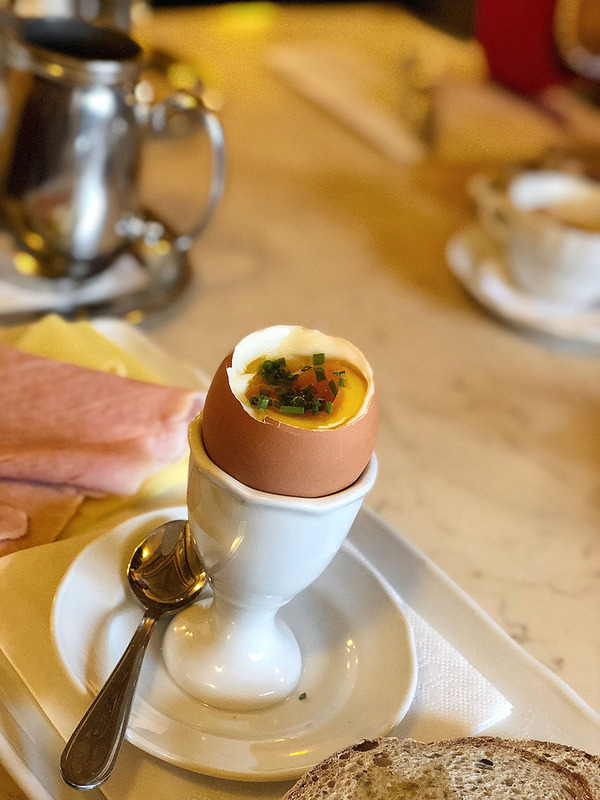 I have to admit that I never tried lunch menu in Café Savoy, but judging by the delicious breakfasts I would expect only the best. Café Savoy uses ingredients from local sources and bakes their bread in their bakery below the restaurant. Everything is fresh and prepared with great care. 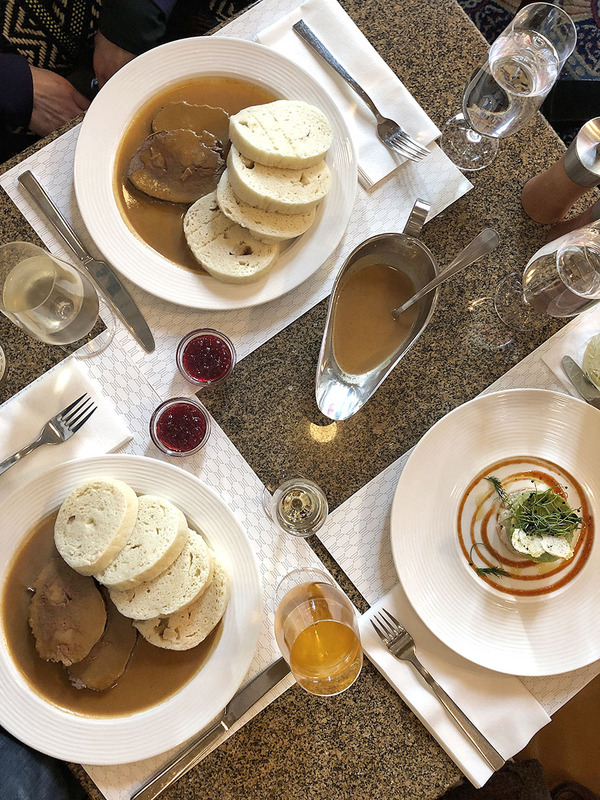 Continental or Savoy breakfast (198 CZK, 245 CZK) - Ham, cheese, selection of bread, butter, jam, and egg are all of the very good quality and as fresh as possible. The hot chocolate which comes with Savoy Breakfast is just exceptional! One of the best hot chocolate I had so far, using Valrhona cocoa. 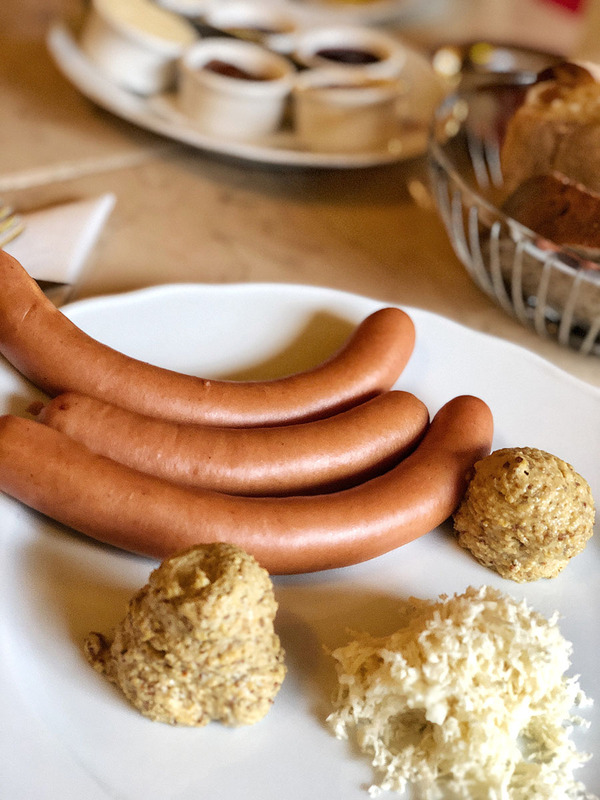 Frankfurter Savoy with their mustard and horseradish (178 CZK) - It’s a type of Central European sausage and is a very typical breakfast menu around this part of Europe. The fresh horseradish really makes the difference. This food is easy to share, so one plate for a group of 2-3 people is enough. 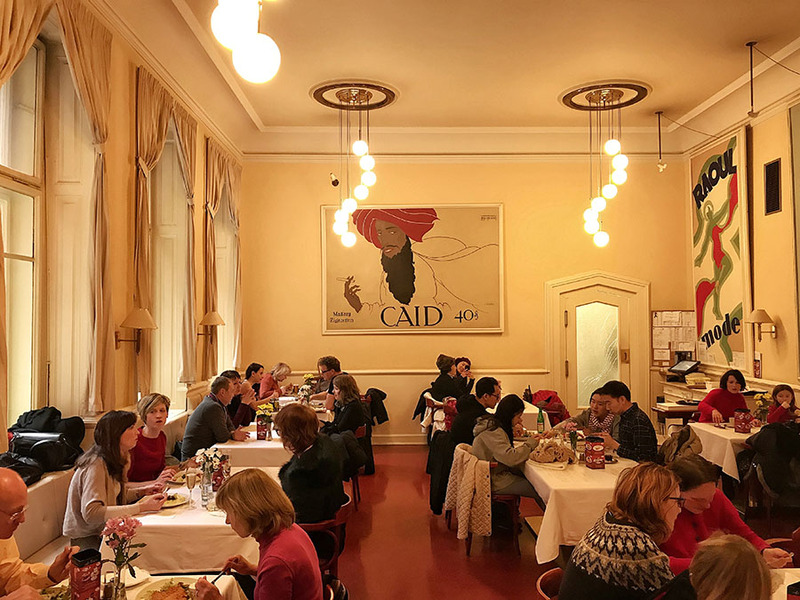 The atmosphere of the café and the food are not the only excellent things you can experience here. 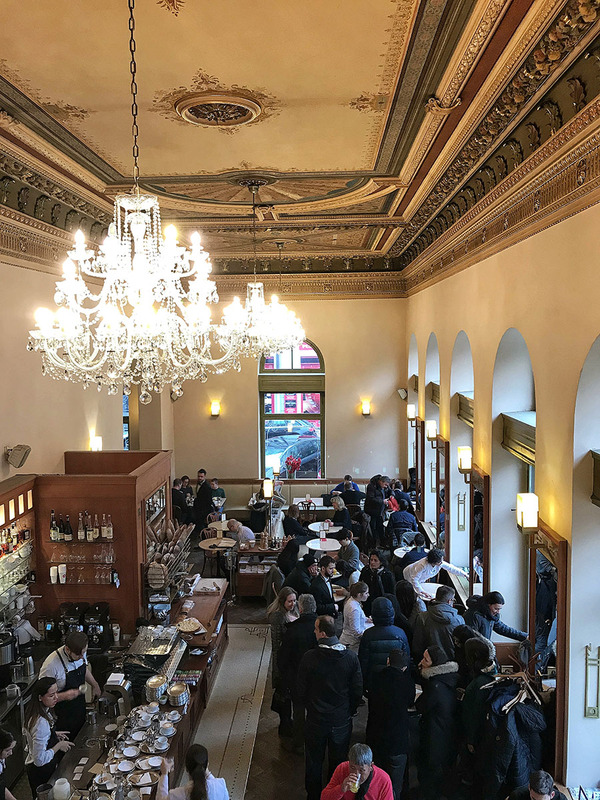 The coffee, hot chocolate and the amazing cakes and pastries are the reason to visit on its own. From the cakes, I would recommend their own Savoy Cake or if you would like to try something more local then definitely go for Vetrnik. 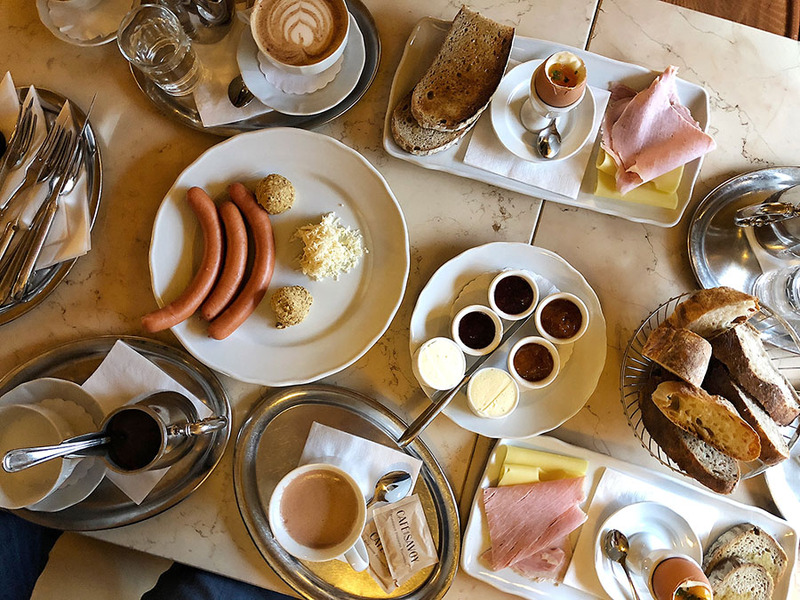 The total price of around 300-400 CZK per person makes it one of the more expensive breakfasts you can get in Prague. However, you will get an excellent value for your money. Yes! 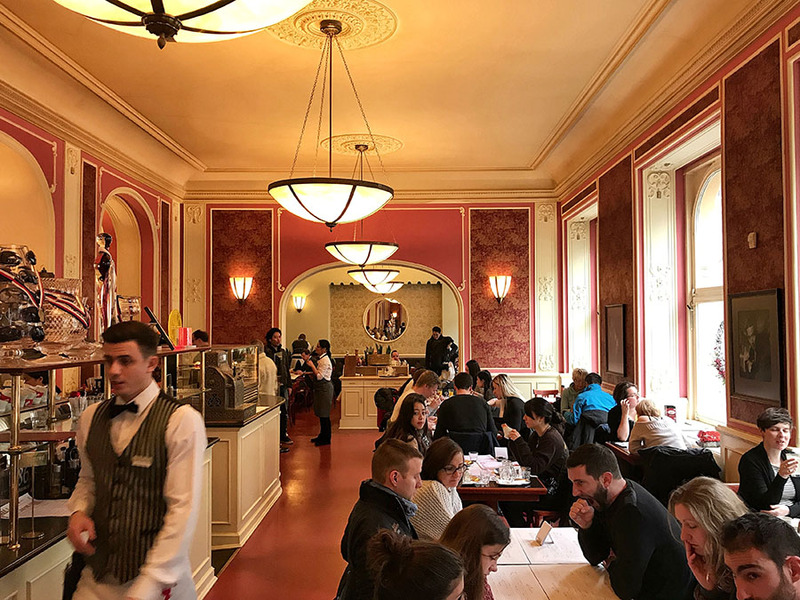 Café Savoy is very popular, and especially around breakfast and lunch, it can get very busy. 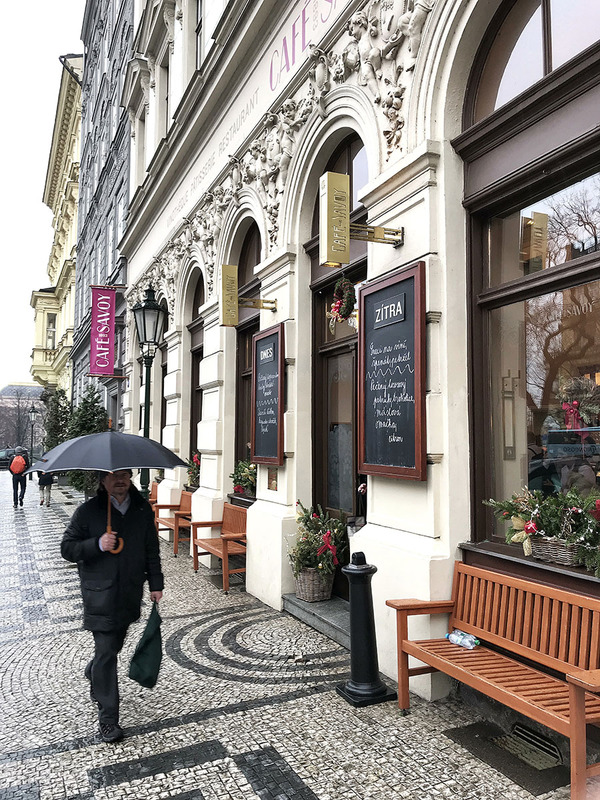 Make the reservation before you come to Prague or if your accommodation is close, stop by on your way to the city center and make a booking for the next day in person. The staff in Café Savoy is very well trained and courteous. There is no service charge on your bill and giving a tip is not required. However, it is a common custom in Prague to give a tip of up to 10% if you liked the service. Not that far from Café Savoy is the famous Café Louvre. 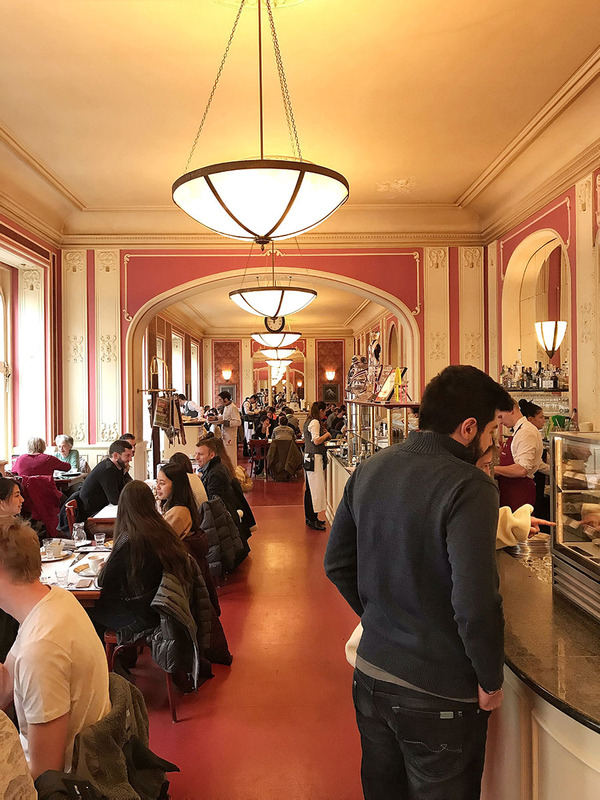 The Café first opened here in 1902, and people like Albert Einstein, Franz Kafka, and Karel Capek have been enjoying their cup of delicious coffee here in the past. 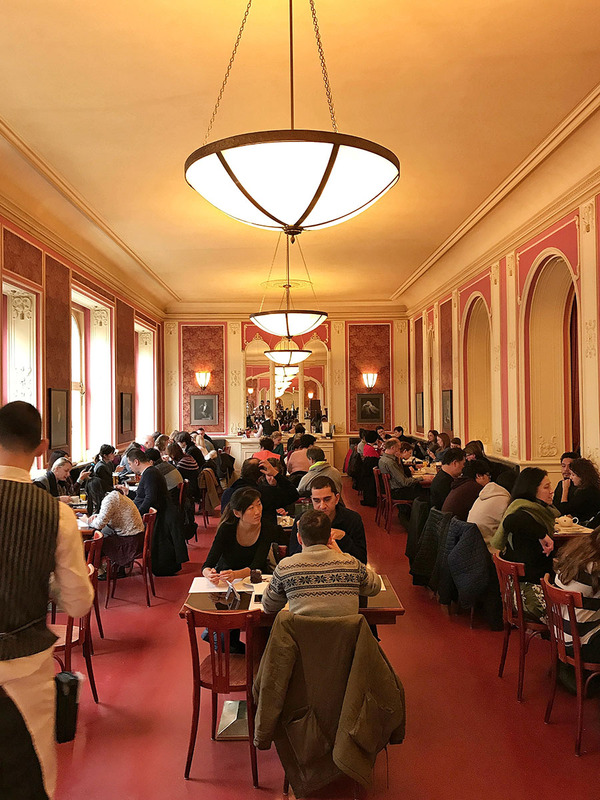 Unfortunately, communist closed Café Louvre from 1948, and it took until 1992 when it went through complete reconstruction and reopened again. Café Louvre has everything I love about the European style cafés. A rich history, elegant interior and professional staff serving high-quality coffee, food, and desserts. It also has a great location in the city center of the Prague. 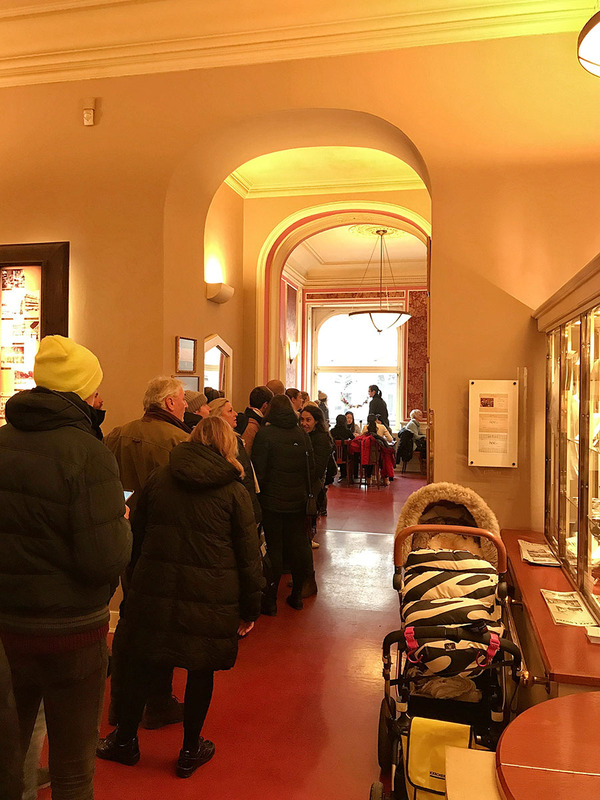 Same as with the Café Savoy, the place is extremely busy, bustling with tourists, and without the reservation, you have to be super lucky or be prepared for 20+ minute waiting time. If I have to judge the staff based on the waiter who served our table, I will give it only the highest rating. Even when he was immensely busy, he stayed utterly professional and patiently recommended us dessert which became my best cake of the year 2016! 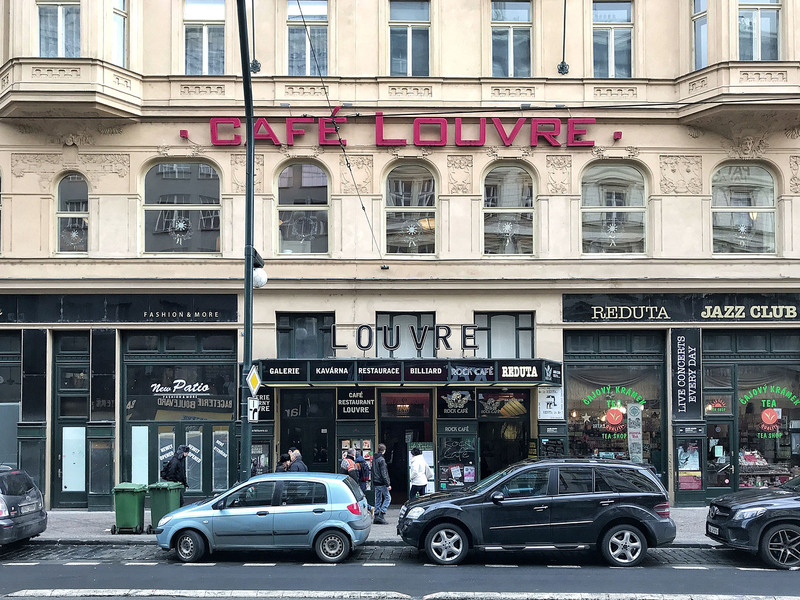 We haven’t tried food in Café Louvre, only coffee, and desserts as we just stopped by for a quick refreshment on our way to the city center. 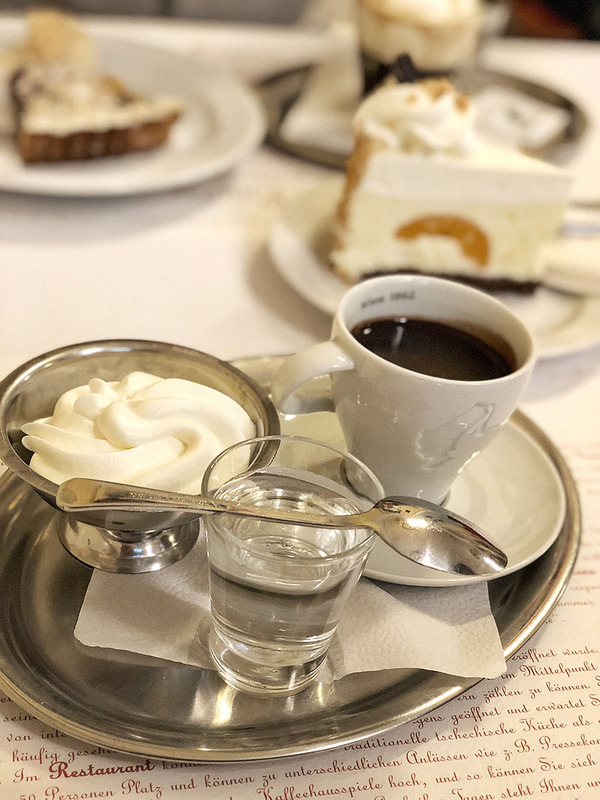 Turkish coffee and Viennese coffee (69 CZK and 55 CZK) - Excellent quality of coffee, excellent with the desserts. 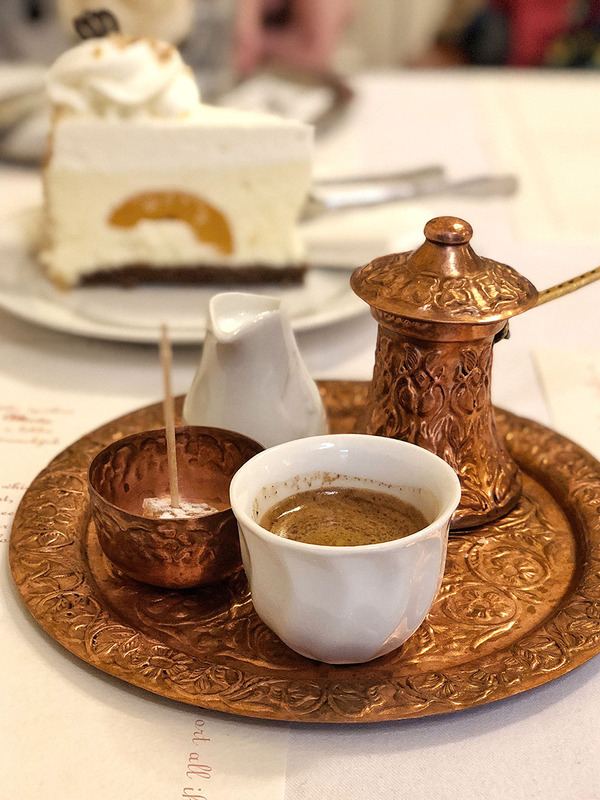 Turkish coffee is made by boiling ground coffee beans very finely with water and usually sugar, then serving the result into cups, where the grounds are left to settle. Sugar, if any, is added to the initial mixture, before boiling. When ordering a Turkish coffee, the amount of sugar is specified, from no sugar (plain); with little sugar; with moderate sugar (medium); or heavily sugared (sweet). 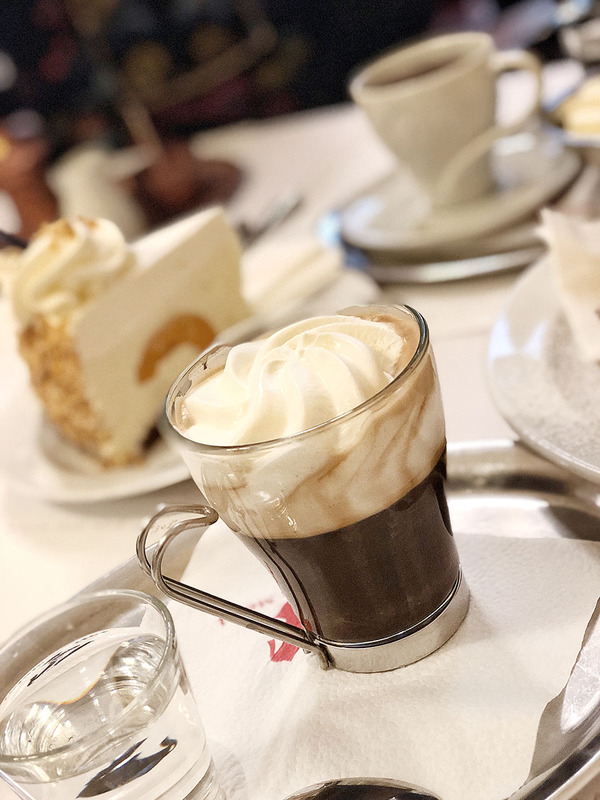 Viennese coffee is made by preparing two shots of strong black espresso in a standardly sized coffee cup and infusing the coffee with whipped cream (as a replacement for milk and sugar) until the cup is full. 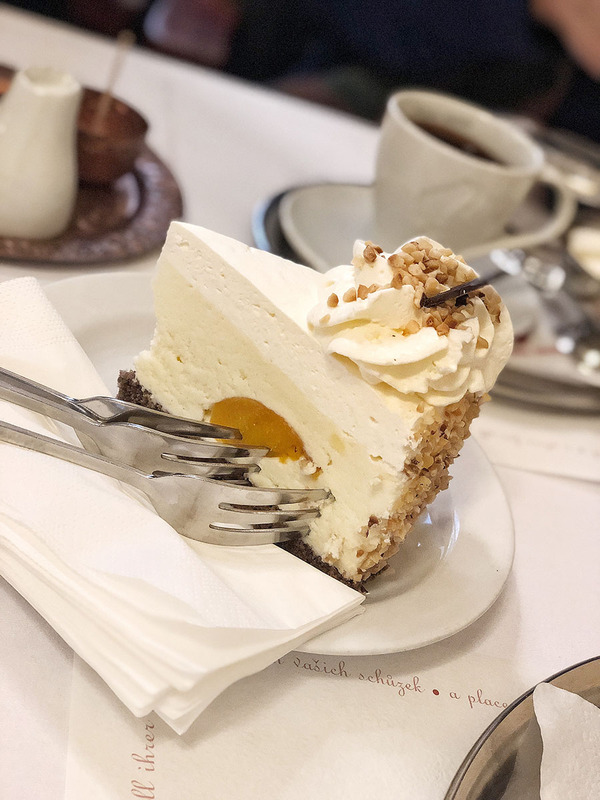 Quark cake (75 CZK) - The closest cake to the quark cake would be the cheesecake. However, cheesecake is made from the cream cheese or ricotta while quark cake is from quark. Quark taste and texture is a little bit different, more similar to yogurt cheese. 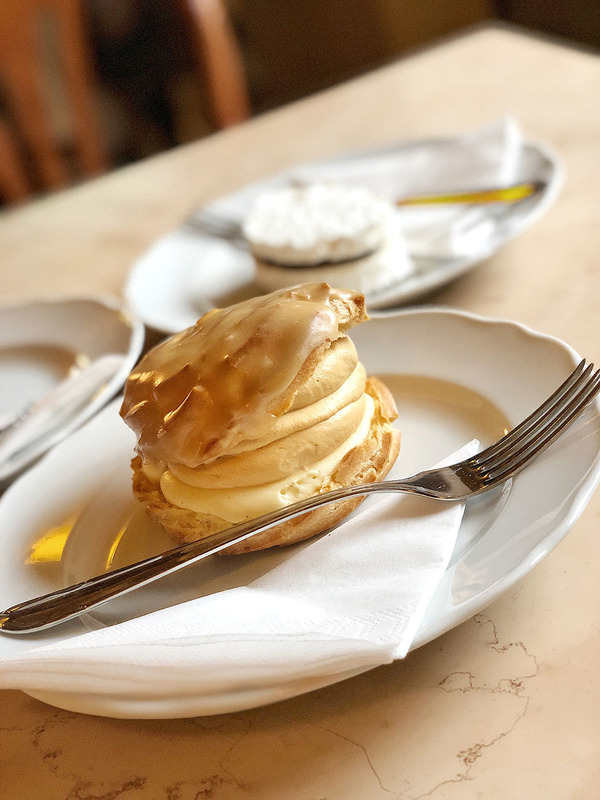 It is a very common ingredient for the cakes and pastry in central Europe, and if you would like to try something more local, you should definitely try the quark cake or any other pastry with quark. 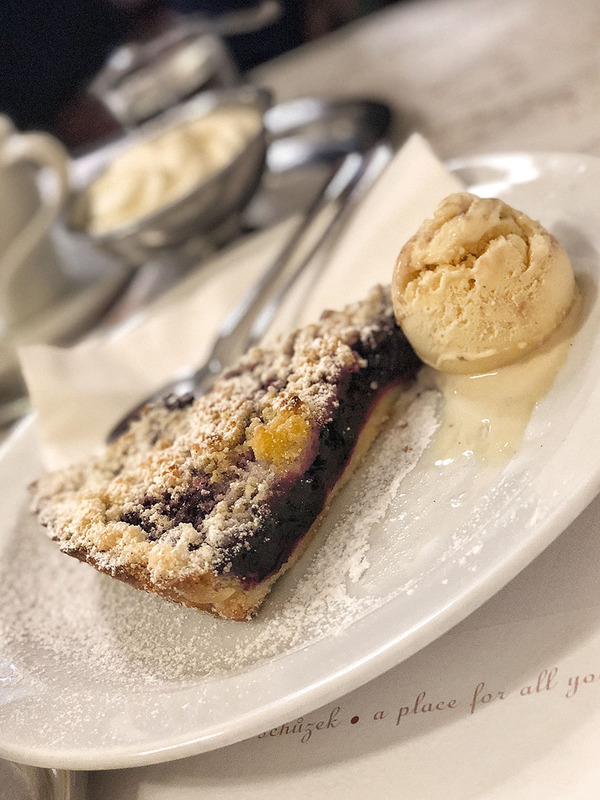 Blueberries cake (79 CZK) - This cake was recommended from the very kind waiter, and it became my favourite dessert in Prague and possibly my cake of the year 2016. A very simple cake, made with blueberries and a scoop of vanilla ice-cream on the side. What a treat! We also went for an aperitivo in the form of an Apricot alcohol (MERUŇKOVICE ŽUFÁNEK 50%). It usually involves a beverage served before a meal to stimulate the appetite. Total price - 389 CZK plus some extra tip. Again, not the cheapest coffee and cake you can get in Prague, but well worth the money. Definitely. Or be ready for some 20+ minutes waiting time. 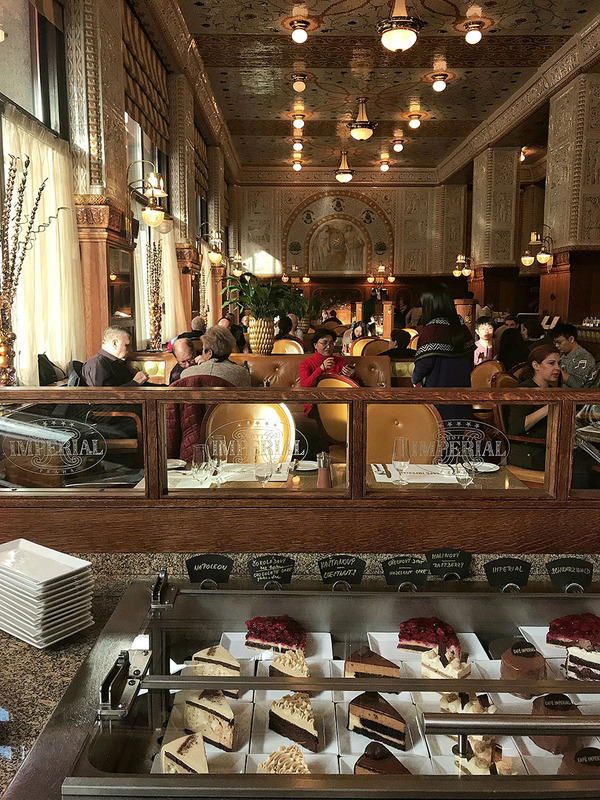 Café Imperial (or also found as Art Deco Café) is split into two sections. Café and restaurant. We stopped here twice. Once for only coffee and cake and the second time for the lunch. 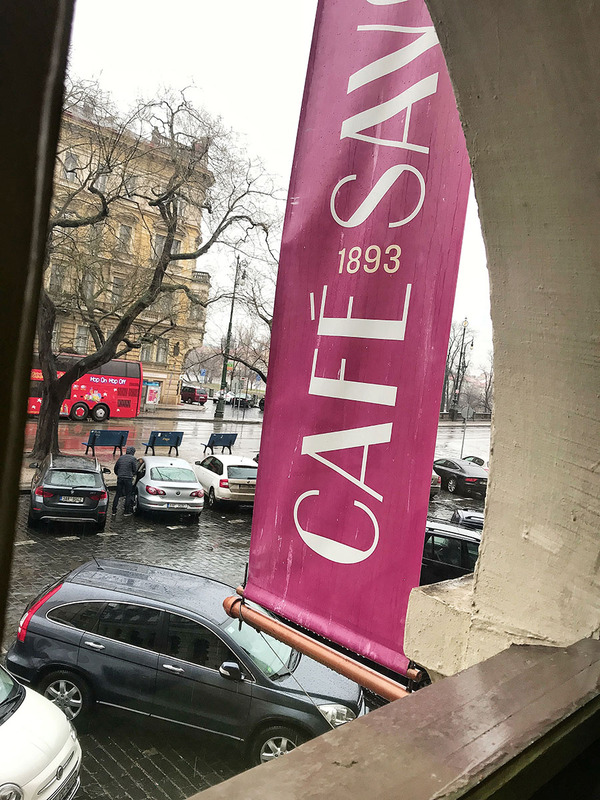 Same as Café Savoy, it is a little bit more outside of the usual touristic routes but the 15 minutes walk from the city center is nothing. 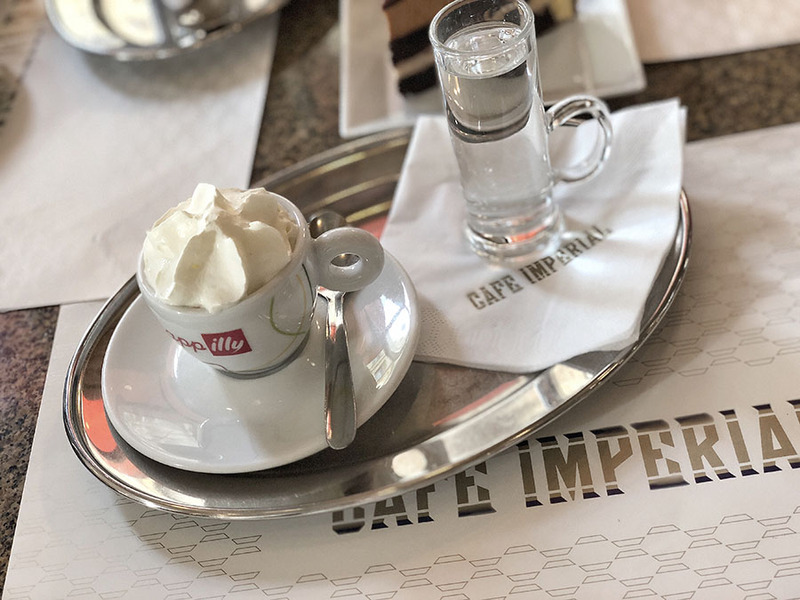 Café Imperial is considered one of the grandest cafes in Prague. It is situated in the Art Deco Imperial Hotel Prague and while it’s not very interesting from outside, inside it is stunning. Its walls are covered with millions of tiles with floral and animal designs depicting oriental or Moorish scenes. That combined with the high ceiling makes the interior unique and entirely different to other two cafes mentioned in this blog. The Imperial Hotel and Cafe was opened in 1914 and was very successful until the World War II when German soldiers took over the place. After the war, site regained its previous fame and was considered a part of the Czech cultural heritage. Then it was closed down during the 80s and was re-established in 2007. 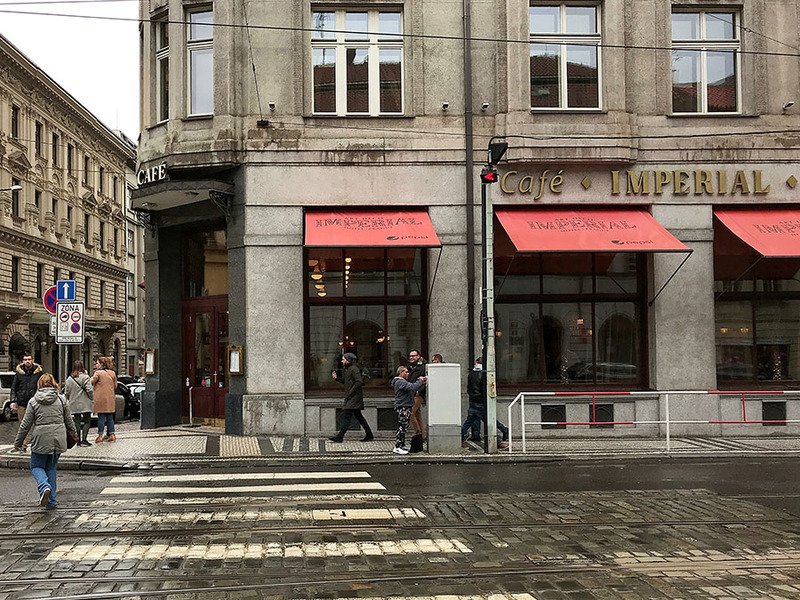 Café Imperial is owned by Zdeněk Pohlreich who is the Gordon Ramsay of Czech Republic. His focus is on less variety but higher quality of dishes. Which is, what we are after with this blog. 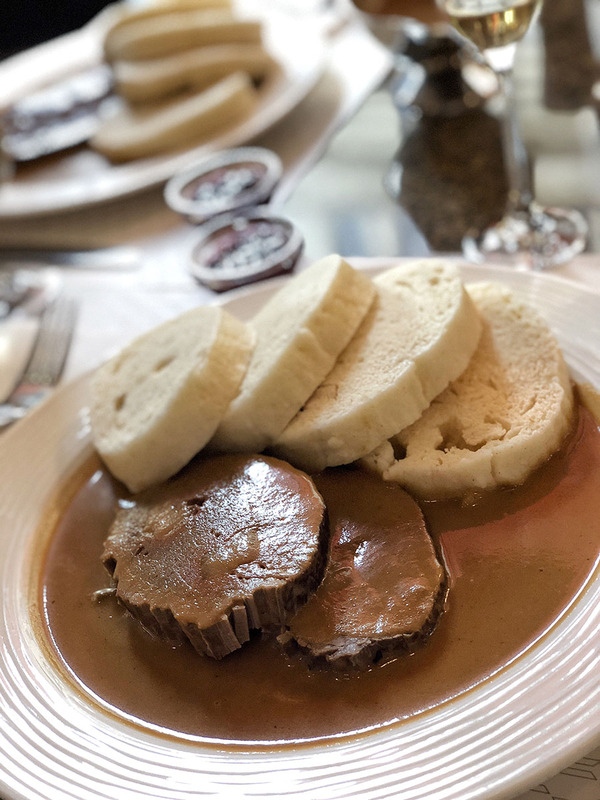 Svíčková na smetaně (Braised beef with creamy sauce 245 CZK) - A very typical and one of the most popular Czech dishes. 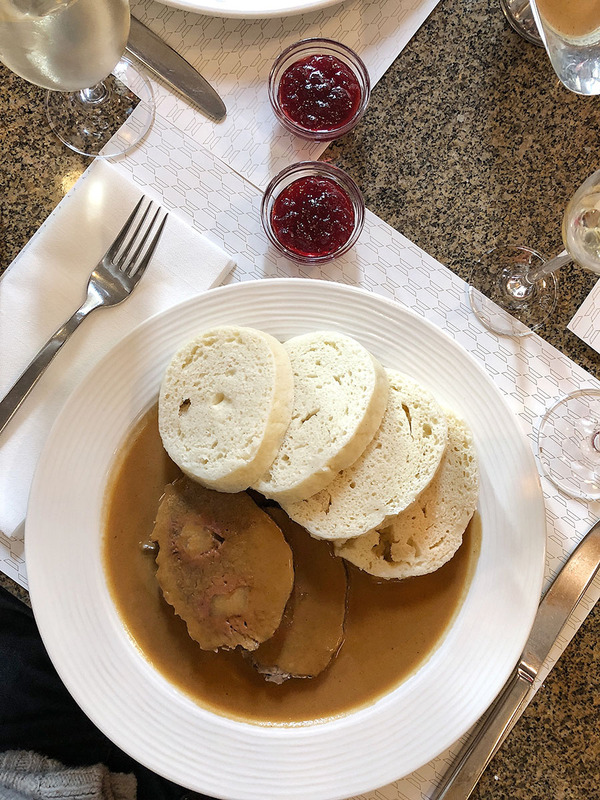 One of the ‘must try meals’ when visiting Prague. As expected, the food was excellent. 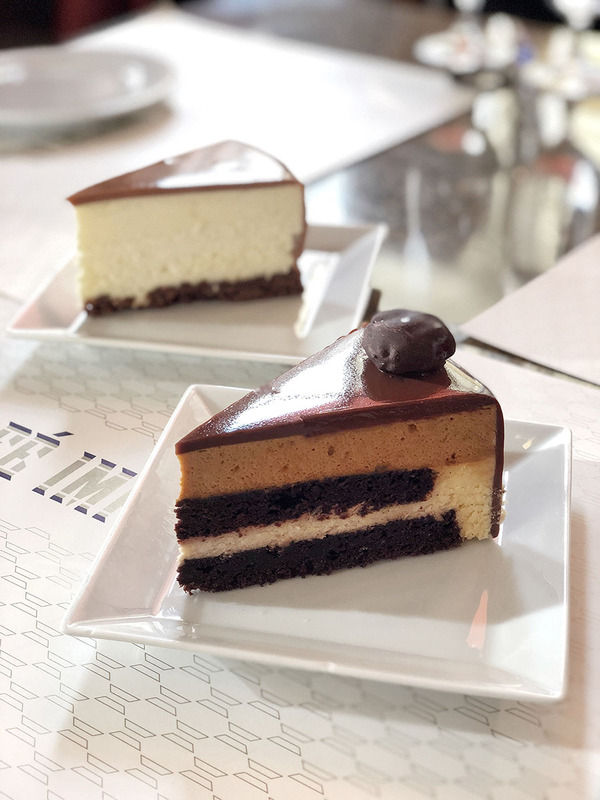 Ivory Cheesecake and Chestnut Cake (89 CZK per piece) - Café Imperial has a small selection of desserts close to the entrance. A few years ago I had a banana cake here, and I was talking about the cake for months after our visit to Prague. (Un)fortunately, they change the cake selection now and then, and this time there was no banana cake anymore. 😔 However, the Ivory Cheesecake was excellent! We went with the staff recommendation, and the selected cakes were delicious. I wish they open a café in London so that I can have these cakes more often. 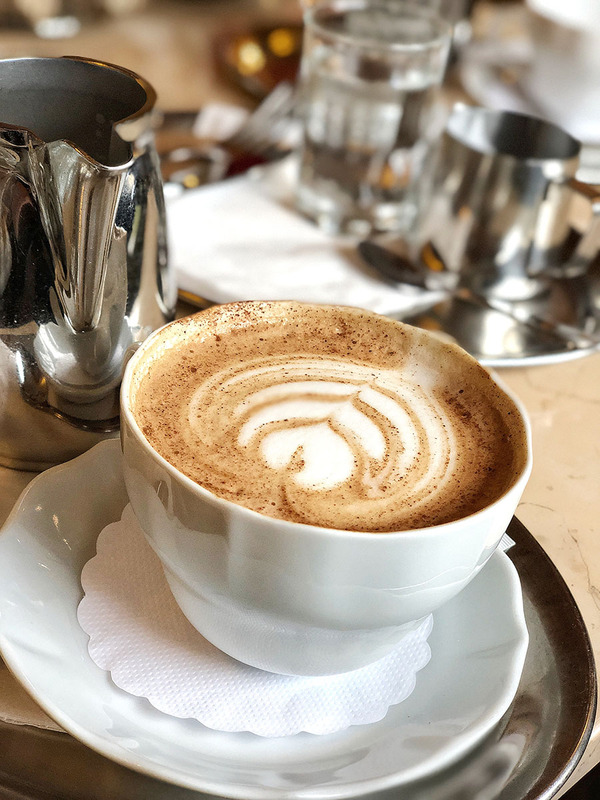 Marocchino (67 CZK) - This is an excellent coffee for people who like their coffee with some unusual flavor. Marocchino is a shot of espresso, cocoa powder, and some milk froth. 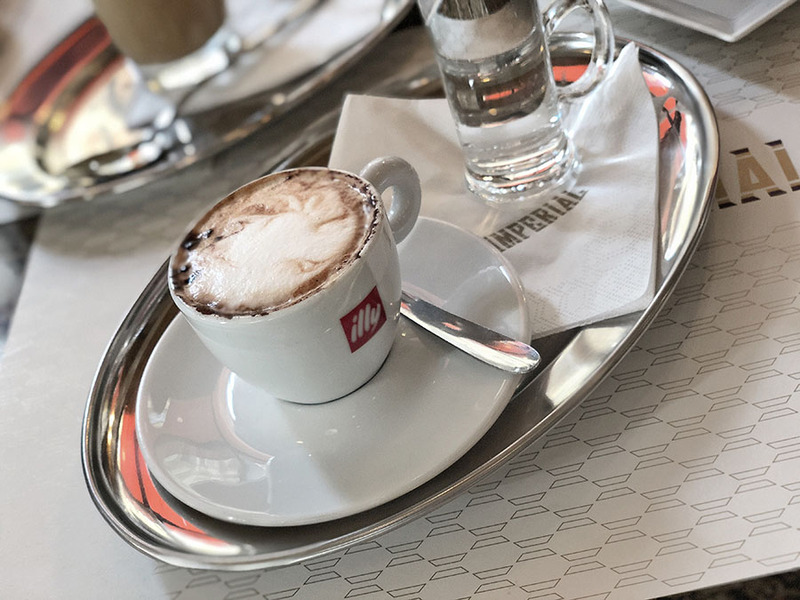 The service in Café Imperial is brilliant, and the experience is very similar to the afternoon tea at The Ritz with friendly and attentive staff. You might be able to just walk in for the coffee, but for the restaurant, I would book ahead. For dinners, during the high season, the place can be reserved for a few weeks ahead. There is no clear winner here. Each Café has its own, unique atmosphere and its strengths. 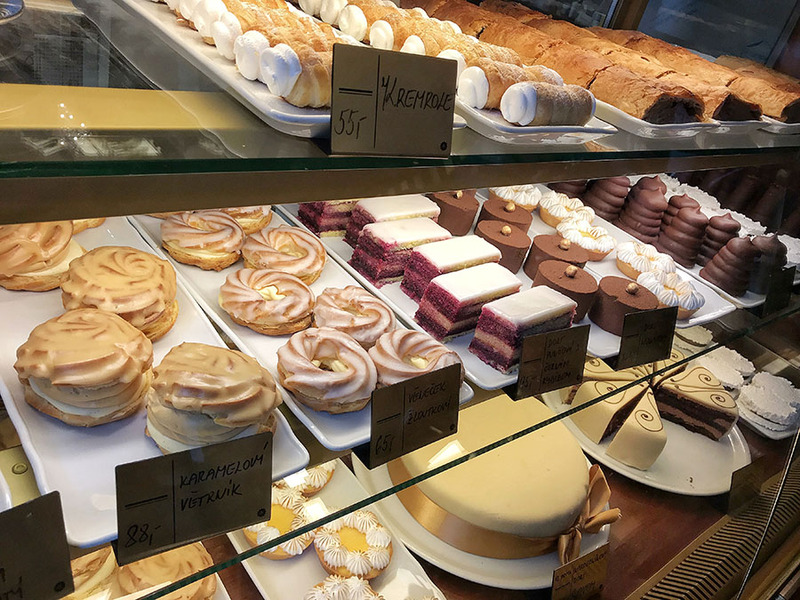 If you are coffee, desserts and food lover like me then, ideally, visit them all during your stay in Prague and enjoy the different tastes and styles. If you don’t have enough time, or just don’t want to visit all of them, pick one which you like the most from the photos. I am pretty sure that whichever you will choose, you will love the experience.